In 1852, Queen Victoria and Prince Albert built Balmoral Castle in the Scottish Highlands. This gave the queen a chance to show her love of citrine sourced from her kingdom. Citrines were set in Scottish Highland shoulder brooches and kilt pins; and increased in popularity at that time. By the 17th century, Scottish weapon-makers adorned their dagger handles with this gem, where one large citrine crystal might become the handle itself. It remained quite popular for jewelry through the 19th & 20th centuries. In the Art Deco period between World Wars I & II, large & sumptuous citrines were highly prized. ​Today, there is a full-scale renaissance for this gem, which has come to be known as a "Success Stone", promoting abundance in all areas. It is particularly useful in business when placed in the cash box of a shop, earning it the nickname "Merchant's Stone". 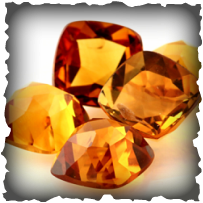 In addition to manifesting abundance, citrine also brings energies of generosity so that prosperity and success is shared. 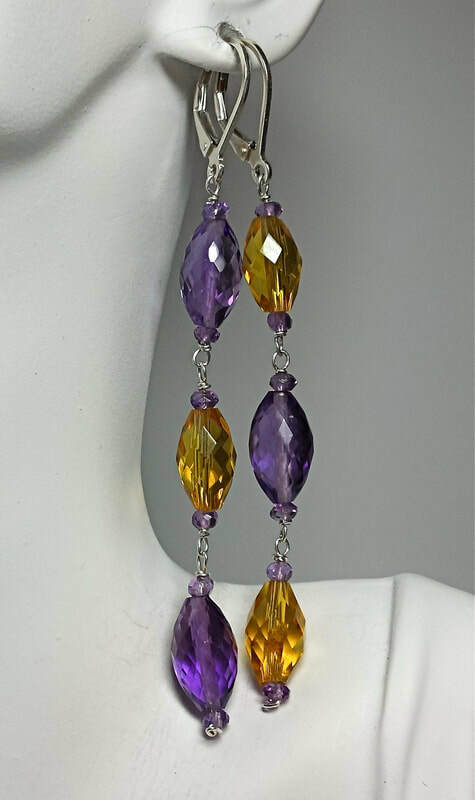 ​The gemstone is said to dissipate negative energies from the environment, indoors and out; while not absorbing any negative energy from its surroundings. Through removing unwanted energies, it paves the way for meditative processes and spiritual growth. It helps develop, increase and magnify will power. Citrine brings both hope and stability. It is often used as a tool for dream work and recall. 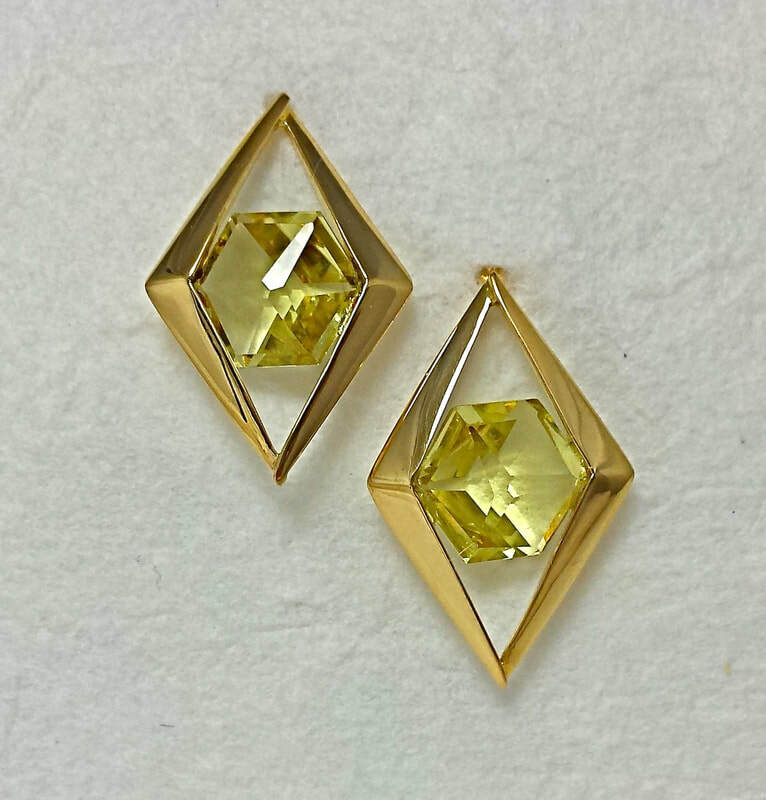 Mentally, the citrine enhances clarity and confidence, creativity and honesty. 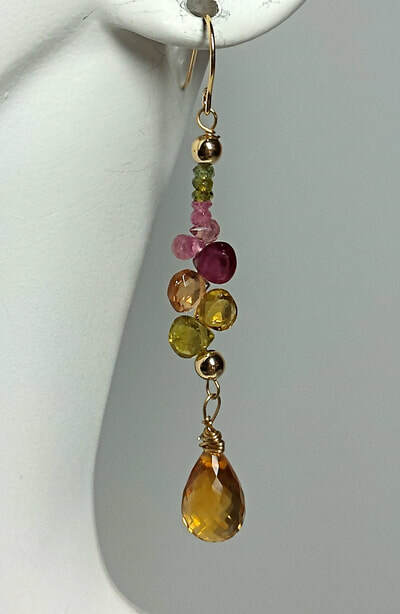 Known as the "healing quartz", it was believed to have magical powers and was worn as a talisman. It is thought to be an uplifting stone, bringing happiness to the wearer, relieving depression, self-doubt, anger and irrational mood swings. It is said to help reduce self-destructive tendencies, overcome emotional traumas and grief, nightmares and sleep disturbances. 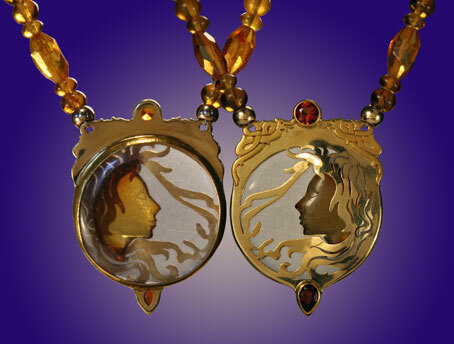 Family issues may also be cleared for resolution using citrine. Citrine helps eliminate certain fears ~ of being judged, of others' ideas, of being alone, or of being unworthy of love. 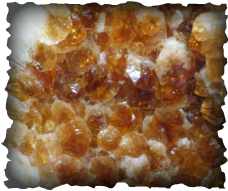 ﻿From healing folklore we hear that citrine can be beneficial for general strength and health: a panacea for digestion, stomach, thyroid, heart, kidney, liver, muscles, endocrine, urinary, immune and circulatory systems, tissue regeneration, diabetes and fibromyalgia. 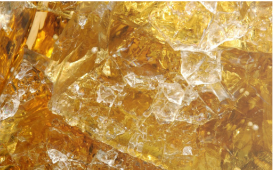 Citrine is also reputed to be good for removing toxins and overcoming addictions. 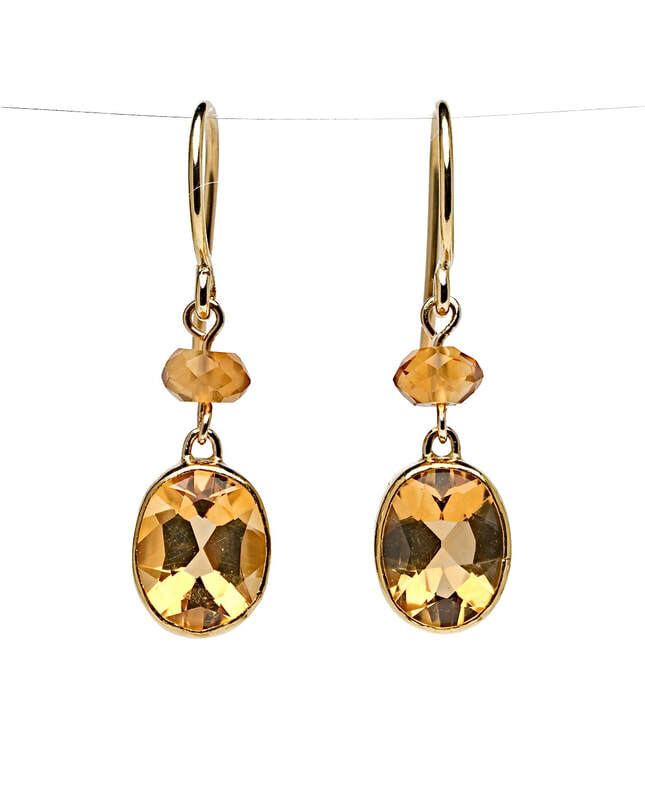 Sensuality and sexuality is thought to be heightened when wearing citrine. 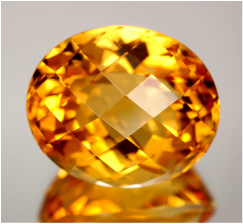 Topaz is the 'Stone of Strength' and has a close association with the sun. Its golden color was believed by the Egyptians to be from a glow cast by Ra, the sun god. Near the time of the full moon, its mystical properties are most heightened. 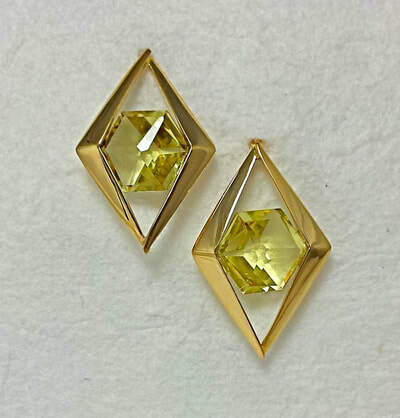 Yellow topaz is the suggested anniversary gift for the 4th, 19th or 23rd years of marriage and is alternate birthstone of November. 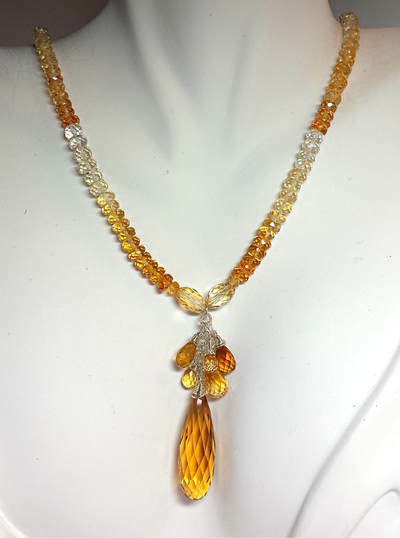 The name topaz is Sanskrit in origin; and holds the inherent meaning of fire. This gemstone was purported to change color if a poisonous substance came into contact with it. Prominent leaders were therefore given this gemstone, and when served wine goblets from those they did not know, it helped to ensure that they were not being poisoned. 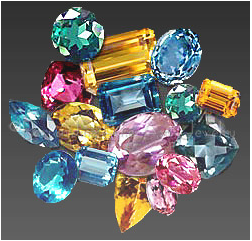 In the Middle Ages topaz was used to heal physical & mental disorders, and even to prevent death. A gift of this gemstone symbolizes friendship and strengthens the capacity to both give and receive love, become decisive and think more logically, increase understanding and restore energy.